Time for Blog Hop Wednesday. This week my partner is Saraswati of Saras's Kitchen. I picked Balushahis recipe from her blog because from the past few days my husband has been asking for home made Balushahis. 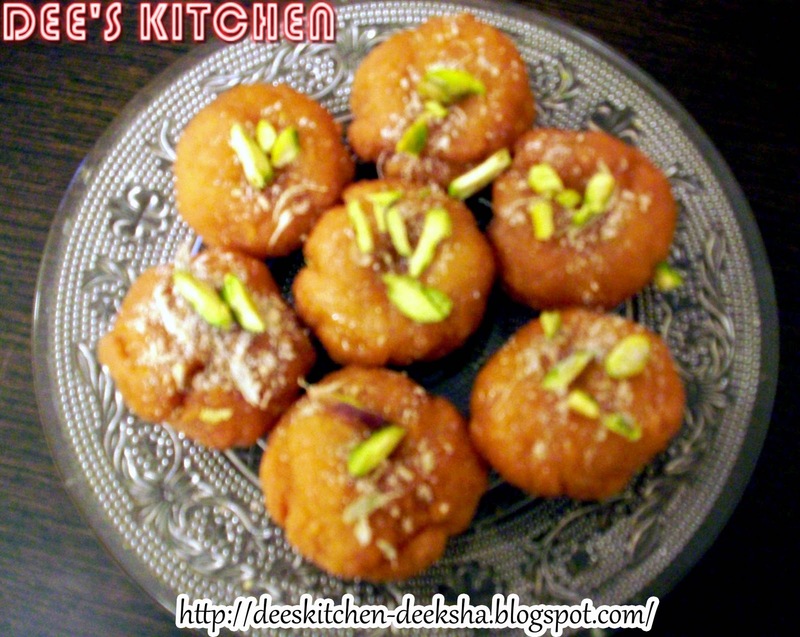 When I was going through Sarawati's blog for Blog Hop, Balushahi's recipe appealed me to surprise my hubby. I tried her recipe with some modification and it was a hit. My hubby enjoyed alot which made me so happy. 1. Mix APF, baking powder, cooking soda in a bowl. 2. Add ghee and rub it with your fingers to make it crumble. 3. Add curd and mix the dough very gently. Do not knead very much. 4. Rest it for twenty min. 5. Make small balls out of the mixture. Make a dent in the center of the ball by using thumb. 6. 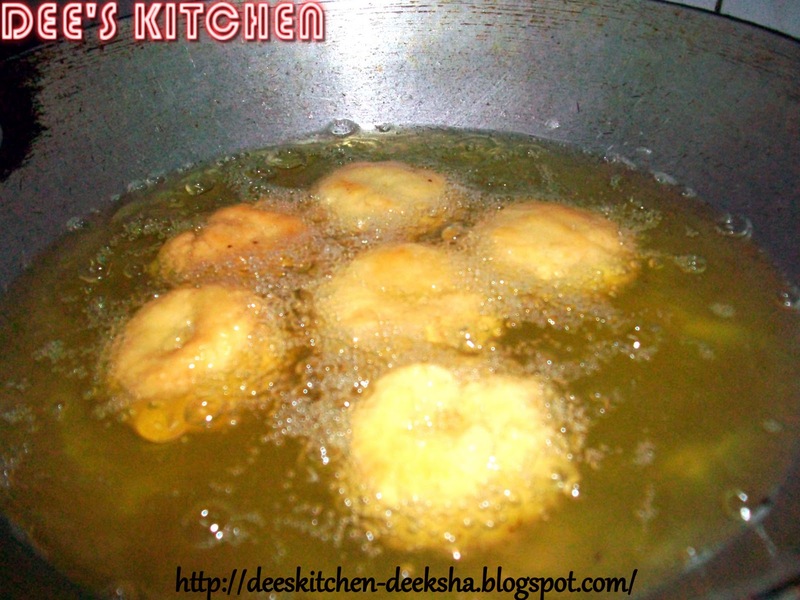 Heat oil and fry these balls on low flame till it turns brown in color form both sides. 7. Prepare sugar syrup of one string consistency. Add lime juice to it. 8. Dip the balls in sugar syrup for thirty min..
9. Remove the Balushahis from syrup. Transfer them on a serving plate. Garnish with chopped pistachios and cardamon powder and Serve...!! looks tempting.. love to try this.. 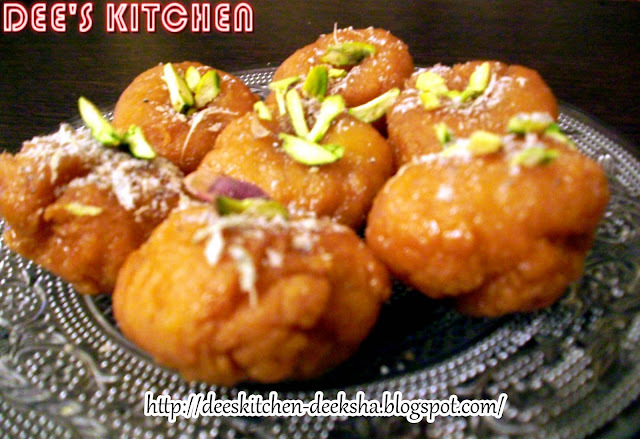 So tempting badushahi, makes me drool..
Balushahi's r my fav...simply love this mithai..n this looks simple..so bookmarked!..thnx for this wonderful recipe! You are killing with that sweet :D. Its my fav !! and very tempting recipe.. bookmarking this and happy to run the Blog Hop with you ! Such a lovely sweet! It looks very delicious and gobbleworthy! I never forget to make this for any special occasion, your pictures are tempting me to make it now. Wow my mouth is watering at the sight of this - looks so yummy! this is my fav sweet and looks well done ! I can't belive that such a special mithai could have been made so well at home. Lovely!! Looks delicious and thanks for trying out.. 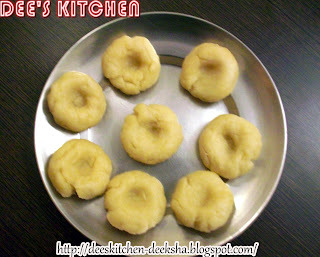 This is so simple recipe.. Never knew it can b done so quickly.. Lovely recipe. wow, so nicely done, I love balushahis. a new sweet to me, look so delicious n yum..
looks delicious and yummy !!!!!! I love love balushahi n your pics are tempting me way too much ~ great work! Delicious treat perfect for the festivities. Looks yummy!! !want to try out for diwali. Thanks guys for all these lovely comments. so so tempting ones.. u hv made these wonderfully.. This is so delicious. I shall try it out for Diwali. Hi Deeksha,in TN it is called Badhusha and it luks so yumm and mouth-watering dear.The recipe is supergood.Thanks for sharing and dropping in at my space dear.Luv ur recipes. Deeksha balushai in my home are always store brought but now I will give it a try... you make it easy and tempting! A perfect festive food for this month! Y'day i went through this recipe and tried also. It tunred delicious, superb on looks also. Thanks a lot. My husband loved it.